In the last blog post we looked at the meaning of dental marketing, how (in my opinion) it should change in dentistry and focus entirely on the patient. I talked about flipping the focus of our marketing to not be about what we can sell as a practice or be about the treatments we want to do, rather, it should be about solving patients problems in an engaging and relationship building way. The natural result of that is that people are attracted to us. In this post I'm going to begin looking at some of the more specific ways that we can make that happen, future posts are then going to look at each of these individual ways that we can build relationships with patients. Now that you've broken down digital marketing into very specific areas you can begin to understand more about whether you can do this yourself, who could do it in your practice or what you may need to outsource. Each of these should work in unison, as a system, referring patients backwards and forwards to the correct pace at the correct time in order to answer their dental problems and subsequently to gently attract them into your practice. No single strand is more or less important than the other. This is typically how I might approach this. TRACKERS : They know exactly which treatment they wish to buy and are using your website to check the price, availability and your service. HUNTER: They don't have a specific treatment in mind yet but they do know what type of treatment they are looking for e.g. orthodontics, they probably have a few more features in mind. They are using your website to compare alternative options. EXPLORER: They don't have a particular treatment in mind yet but they may have a particular objective e.g. straighten crooked teeth. They may even be looking on behalf of someone else. HUNTERS or EXPLORERS: Free guides and downloads for patients wishing to solve a dental problem. TRACKERS or HUNTERS: An incentive to request an appointment, this could be a free consultation, refund of initial assessment or explicit promotion of your new patient health check. This will help to convince patients if they are wavering about requesting an appointment. TRACKERS: A request an appointment facility. As you can see, explorers are not going to book an appointment yet, so what are you going to do to ensure you don’t lose them at this early stage in their decision? We are using social media to drive people to your website, your website to collect their details, e-mail marketing to answer their questions which then sends auto responses (assuming we have permission) to drive them to make an appointment if appropriate. Most of this is automated and all of it will work 365 days of the year, 24 hours per day. Never sleeping! My opinion is that if you don't use all of these mechanisms, all of them working today as a cohesive system then your digital marketing will be less effective and you will be able to help fewer patients. 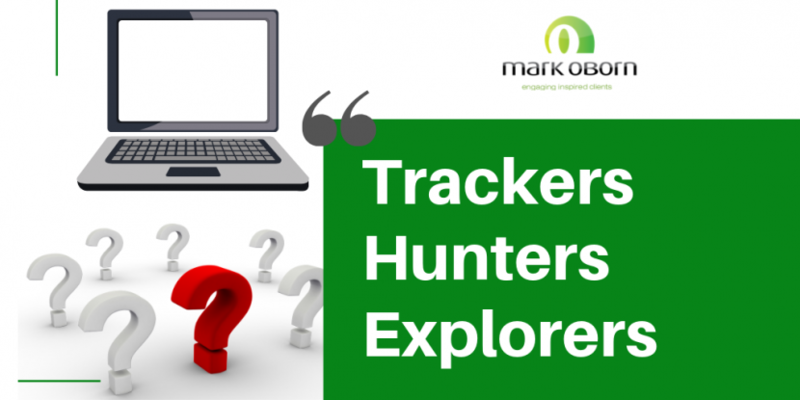 In the next article going to go through marketing on your website specifically, looking more at hunters, trackers and explorers and how you can get your site to be more effective. Mark is the only person in Digital Dental Marketing to have an MBA majoring in marketing & creativity, run a dental laboratory for 14 years and been a dental technician for 23 years. 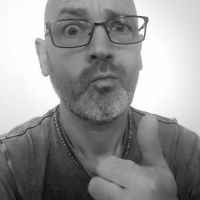 He's also a Master Practitioner of the communication modelling system, Neurolinguistic Programming (NLP) as well as being a Master Practitioner of Hypnosis and a Master NLP Coach. Mark understands business, dentistry and communication.